It’s not to late to talk about summer is it? While we’re nearly at the final bank holiday of the year and the sun is somewhat still making an appearance through those ominous pesky clouds, I thought I’d talk about some beauty summer essentials. My makeup bag in the summer differs to my makeup bag in the winter. Which kinda figures. I love summer, although my wardrobe still consists of all black, in terms of my makeup, I feel a lot more free and adventurous so I tend to recirculate certain products that haven’t had any TLC since possibly last summer. In summer I want my skin to be light and glowing and not bogged down with that many powders and products. Neither do you? Great, read on and we can be friends! I have mentioned this blusher in my Fave Face post and it’s still one of my favourites – especially for this time of year when you want to be all bronzed and look naturally flushed like you’ve had a week away in Ibiza. 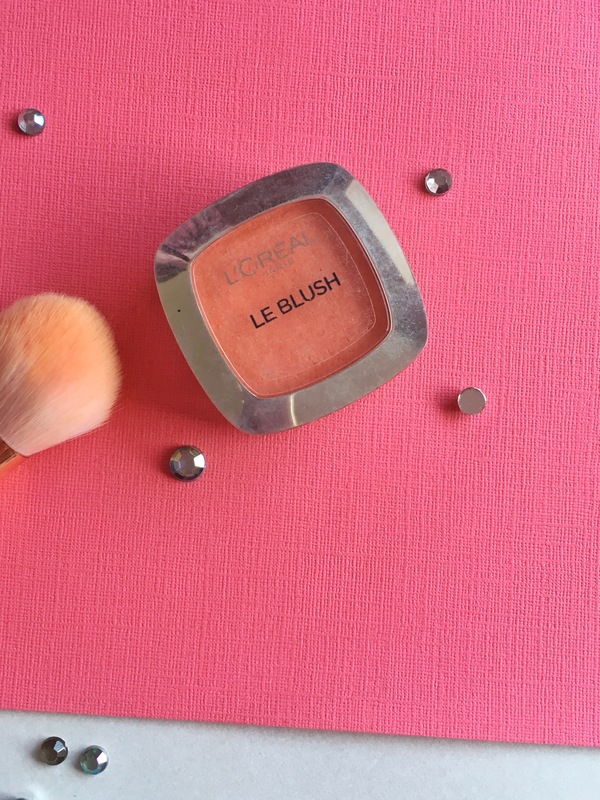 When in reality it’s all down to blusher. This particular blusher is so pigmented, a little goes a long way. I love it. Okay so obviously primer is essential all year around but what makes this a summer essential is the type of primer you use for what look you want to create. As it gets hotter, although my skin type is essentially dry and sensitive, I do tend to get a little oily around my T Zone so I have to prep accordingly. This means using a more mattifying primer around those pesky shiny areas and then a highlighting one for the rest of my face. 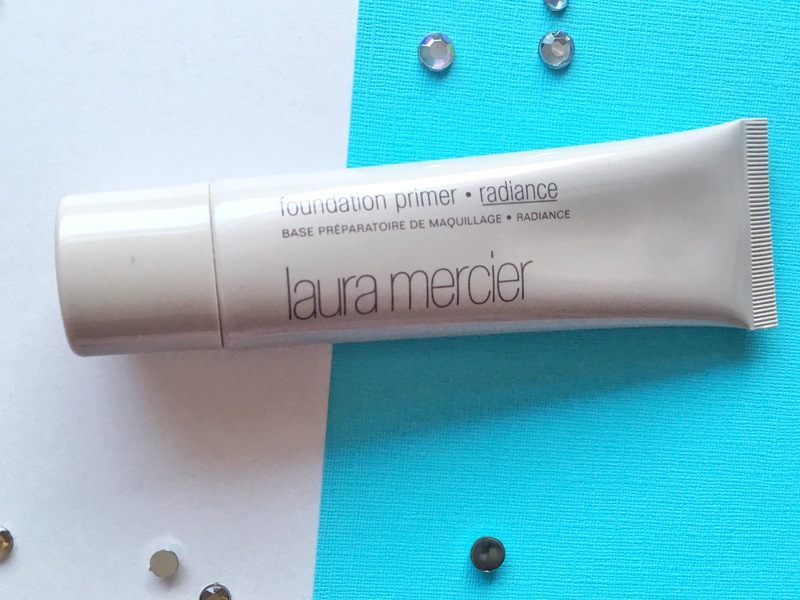 Angel Veil by NYX is a wonderful wonderful little primer that feels like silk when you apply it and I use this alongside my holy grail Laura Mercier Radiance Primer. Laura’s always got my back for the glow. This is my baby. 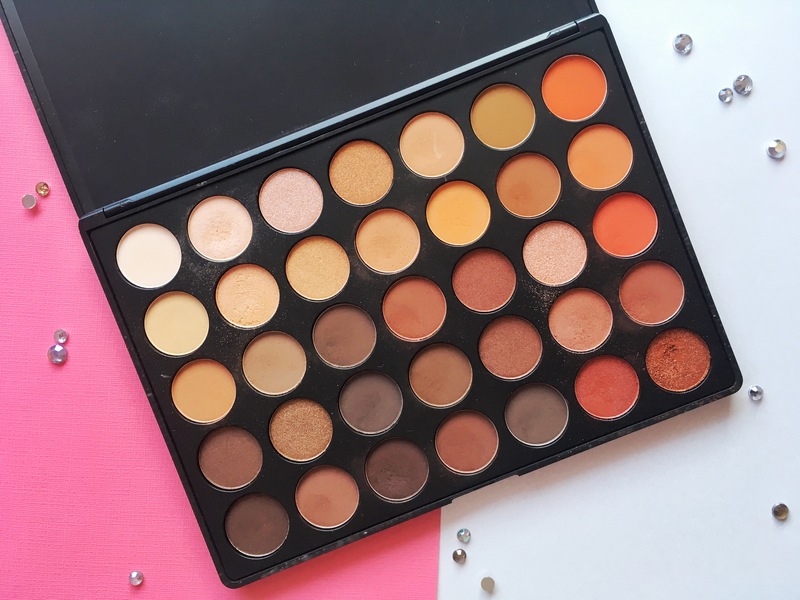 I can create so many different looks with this palette but it has the most perfect matte and shimmery burnt oranges and nudes in it that I am 100% totally obsessed with it and I will be wearing a burnt orange smokey eye for the majority of the summer. A great palette that goes with it for a more pinkish/orangey sultry look is the NYX Ultimate Palette. So pigmented and the colours are to die for. It’s summer, it can get hot and in a dream world we want as little products on our faces as possible yet we still want to look dewy and bronzed and ready to go. Not asking for much are we? I’ve come to love the power of one product on my eyes for a more subtle daytime look and with just a sweep of Yoghurt Jumbo Stick by NYX, I’m ready to go in a couple of minutes. 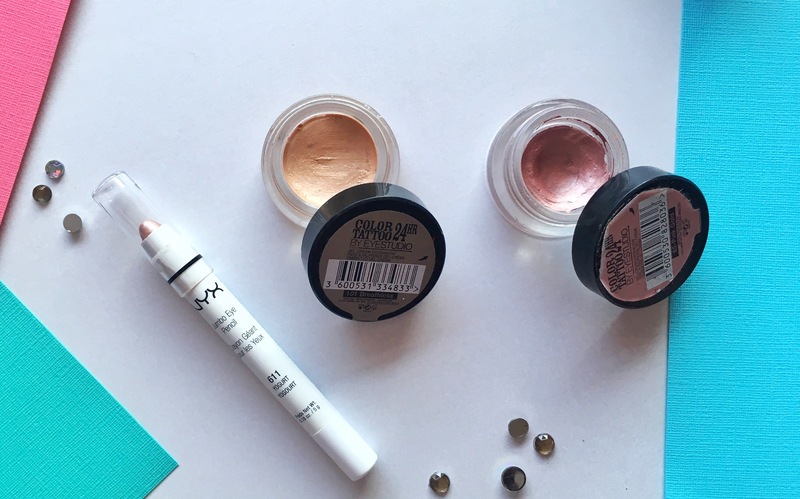 Same goes for the Maybelline Colour Tattoo collection – both brands have amazing ranges of colours to sweep over your eyelids and be ready in seconds. Finally it’s all about the highlighter. I have so many highlighters in my numerous makeup bags that I lose count. But the one I always go back to is the Benefit Watts Up highlighting stick. Because it’s so fuss free and bloody great. 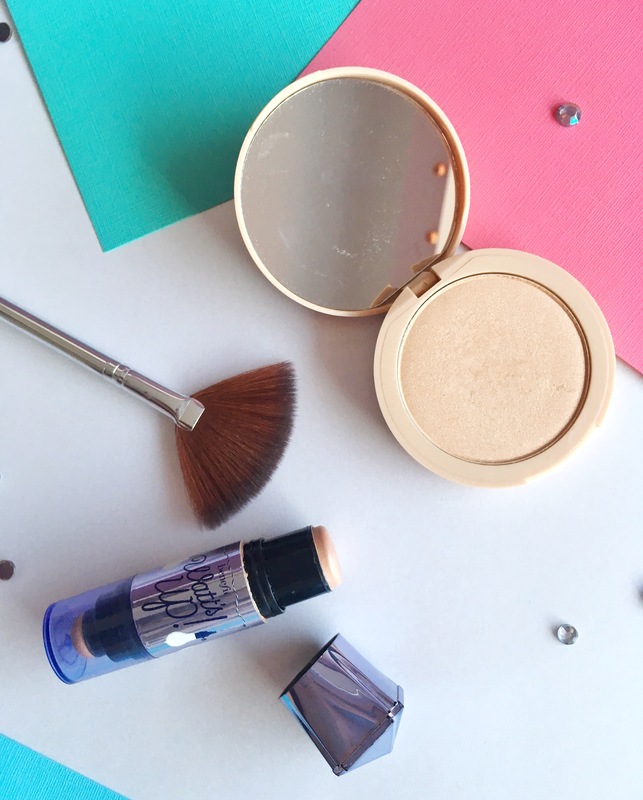 It goes on like a cream product but blends into a more powder substance and can give either the most natural glow or full on mermaid vibes – however hard you apply the product. For the full bedazzled effect, a little sweep of powder highlight in a ‘C’ shape around the side of your eyes onto the top of your cheekbones and then the tip of your nose and Cupid’s bow will do the trick. Summer. In a second. More great tips thanks Katie keep them coming ! !